Fukushima disaster: New information about worst-case scenarios. Much of what you’ve heard about the nuclear accident is wrong. The sixth reactor building of the Fukushima Dai-ichi nuclear power plant in Japan on Feb. 28, 2012, nearly a year after it was destroyed by an earthquake and tsunami. On a heavily guarded campus east of San Francisco stands Lawrence Livermore National Laboratory, one of the U.S. government’s premier scientific research facilities. 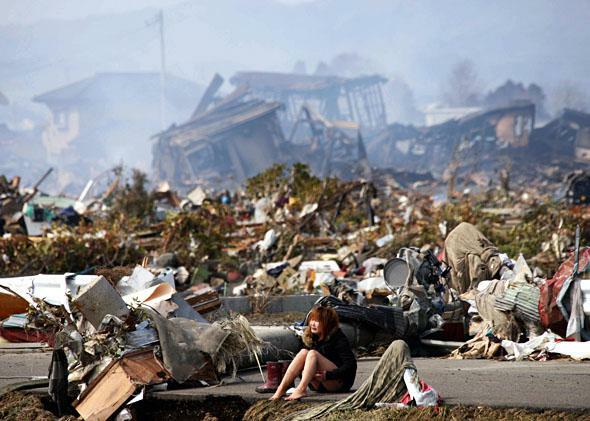 Hours after a massive earthquake and tsunami struck Japan on March 11, 2011, a team of Livermore scientists mobilized to begin assessing the danger from the crippled Fukushima Dai-ichi nuclear plant. The 40-odd team members include physicists, meteorologists, computer modelers, and health specialists. Their specialty is major airborne hazards—toxic matter from chemical fires, ash from erupting volcanoes, or radioactive emissions. The scientists’ work—secret at the time and barely known to the public even today—had an enormous impact on Japan’s nuclear crisis, averting a potentially disastrous U.S. overreaction. This tale reveals significant new information about the accident’s severity and affords a different perspective on events at Fukushima, which have generally been portrayed as a near Armageddon. 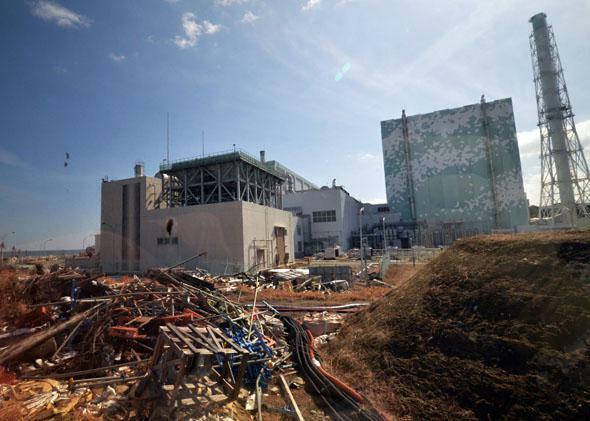 News reports fueled the widespread view among the general public that much of eastern Japan—including Tokyo, about 150 miles southwest of Fukushima—would be badly contaminated if the struggle to contain the radiation leaks failed. 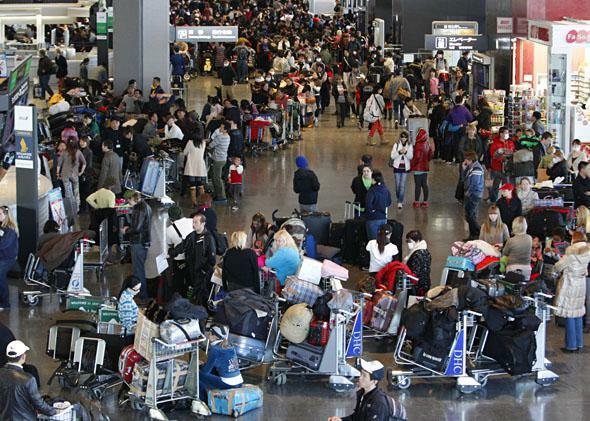 Tokyo’s airports were mobbed with fleeing foreigners. Senior commanders of U.S. forces in Japan were privately fearful about the risks to American military members and their families at the U.S. bases in the Tokyo area. High-ranking officers were arguing that radiation might well require a mass evacuation. A woman cries while sitting on a road in Natori, Japan, on March 13, 2011. President Obama’s top science advisers turned to Livermore to determine the extent of the peril to the Japanese archipelago. After days of high-intensity analysis and numerous computer runs, the scientists concluded that radiation in Tokyo would come nowhere close to levels requiring an evacuation, even in the event that Fukushima Dai-ichi underwent the worst plausible meltdown combined with extremely unfavorable wind and weather patterns. Obama was briefed on the findings, and pressure for an evacuation abated. What was Fukushima’s worst-case scenario? That question consumed the thoughts of millions of people in March 2011, and it remains highly relevant today. One of the most compelling arguments advanced by opponents of nuclear power is that Tokyo only narrowly escaped harmful radiation, and if the accident had spun further out of control and winds had shifted, contamination in the metropolitan area would have been serious enough to warrant the urgent departure of its 30 million residents. Worse yet, the Japanese government supposedly knew all along, from a scenario its own experts had developed, that Tokyo was in grave danger. Naoto Kan, who was prime minister at the time and has since become a leading advocate of eliminating nuclear power, draws headlines with his estimate that the evacuation of 50 million Japanese—with ensuing “mass panic” and “many casualties”—came terrifyingly close to reality. As someone who spent 27 years at major newspapers, I can easily understand why the media jumped on stories about the apocalypse that supposedly menaced Tokyo. Such stories conjure up images worthy of a Godzilla film—people thronging trains and highways to flee the world’s largest metropolitan area—ideal for boggling the minds of readers and viewers. Passengers wait in long lines for flights out of Tokyo’s Narita Airport on March 18, 2011. The accident was the worst involving radioactivity since the 1986 explosion at Chernobyl, and it forced tens of thousands of people living near the plant from their homes. And the release of radiation could have been even worse. But the claims about the potential for an evacuation of Tokyo have grievously misinformed the public. The Livermore scientists’ worst-case scenario shows the threat was overblown. Furthermore, close scrutiny of U.S. documentary evidence undermines another popular perception. Japanese officials have been portrayed as misleading the public with soothing pronouncements and U.S. officials as telling the unvarnished truth. This depiction has had a major effect on public attitudes toward official assurances about the safety of food, water supplies, and living conditions in the eastern part of Japan. But as a related story shows, the unfavorable impression of Japanese officials’ candor comes in part from a grossly incorrect statement by an American nuclear official. The true story of what happened at Fukushima is not exactly suitable for a horror movie, but it is mind-boggling in its own way. A deserted road in Namie, Japan, on Nov. 14, 2011. The main focus of concern was the 40,000-plus active-duty military members, Defense Department civilians, and family members at the Yokosuka Naval Base, Atsugi Naval Air Station, and the Yokota Air Base, all of which are near Tokyo. Those bases are key to the U.S. strategy of maintaining stability in the Asia Pacific. The admirals and generals who command those bases are keenly mindful of the geopolitical imperatives but also place high priority on “force protection.” Military families, aware of the flight by civilian foreigners from Tokyo, were clamoring for action, and Adm. Robert Willard, commander of U.S. forces in the Pacific, took the lead in championing their cause. Members of the U.S. Air Force 320th Special Tactics Squadron arrive at Japan’s Sendai Airport on March 16, 2011, to assess tsunami damage. In the White House Situation Room, an emergency task force included officials from so many agencies that the screen showing video-conference participants was often divided into 32, with people from the Pentagon, Hawaii, Tokyo, and elsewhere. The diplomats involved resisted troop evacuations: What kind of signal would that send to China, North Korea, and allies around the world? If panic erupted in Tokyo, wouldn’t that irreparably harm the U.S.-Japan relationship? The administration was bound by exposure-level standards set by the Environmental Protection Agency. Those standards don’t translate into “danger” in the commonly used sense of the word; exposure at such low levels doesn’t make people sick or render them more likely to get cancer someday. There’s a slightly higher risk of fatal cancer—an additional 0.5 percent—for those who receive a cumulative lifetime dose of 100 millisieverts (a measure of radiation’s effect on the body). The EPA standards set trigger points for protecting the general public well below that level, at a dose low enough that the risk of additional cancers is undetectable. Washington authorized “voluntary departures,” including government-paid flights, for dependents of military and diplomatic personnel. But if radiation levels in the Tokyo region were about to breach EPA standards, the White House would have little choice but to order a mass evacuation. The overarching question was whether radiation levels were really headed above the standards, as the Navy was insisting with ever-greater intensity. That put a lot of responsibility on John Holdren and Steve Fetter, who know a thing or two about nuclear plants and radiation. 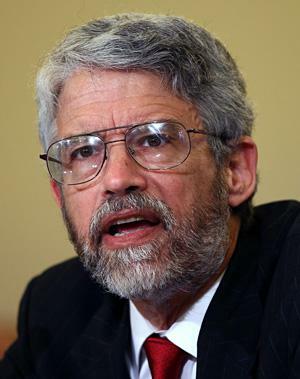 John Holdren, director of the Office of Science and Technology Policy, in Washington, D.C., on May 12, 2010. Holdren is Obama’s chief science adviser. A physicist and former professor of environmental policy at Harvard and the University of California–Berkeley, he is renowned for his work on climate change, energy technology, and the dangers of nuclear weapons and materials. Fetter, who was assistant director at-large in Holdren’s office, had even more specialized expertise in the science of nuclear accidents. His Ph.D. thesis at Berkeley (where Holdren was his adviser) was titled “Radiological Hazards of Fusion Reactors,” and he conducted more research on that subject after joining the University of Maryland faculty in 1988. The biggest source of concern, both men agreed, was the spent fuel pool in Reactor No. 4, which U.S. nuclear experts in Japan believed had lost its capacity to retain water following a nearby explosion. A lack of water in the pool could mean that the 1,000-plus rods of fuel would heat up, catch fire, and emit so much radiation that any workers in the immediate vicinity would fall fatally sick within hours. Such a fire would lift large amounts of dangerous and long-lived radioactive particles into the atmosphere. Supplying water to the other reactors could then become impossible; their fuel would melt and more radiation would be emitted. “We are now looking, as you’ve probably surmised from information available publicly, at a high likelihood of releases as large as Chernobyl or even larger,” Holdren wrote in an email to a fellow scientist on March 16, 2011, citing the possibility of a spent-fuel fire. Officials from the Tokyo Electric Power Company and journalists look out from bus windows as workers pass by in a van inside the Fukushima Dai-ichi nuclear power plant in Fukushima, Japan, on Nov. 12, 2011. Even so, the science advisers weren’t swayed by the simple model the Navy nuclear experts were relying on. It was based on assumptions that the wind would blow steadily in one direction, carrying radioactive iodine and cesium in a very concentrated plume—a worst case that was beyond worst cases likely to occur in reality. Although Fetter had himself reached similar conclusions using similar models, he attached little importance to them. “These kinds of models are fine for 10 to 20 miles out, but not 200 miles,” said Fetter, now back at the University of Maryland, in an interview. This is why the White House called upon the team at Livermore. Formally known as the National Atmospheric Release Advisory Center, or NARAC, the team has assessed such disasters as Chernobyl, the 1991 Kuwaiti oil fires, and the 2010 Deepwater Horizon oil rig explosion. The Livermore scientists combine high-speed computing capacity, high-resolution weather forecasting, and stored databases about weather patterns and terrain to generate three-dimensional maps of hazardous plumes. They can project with far greater precision than simpler models how airborne particles are likely to travel over long distances and long periods involving changeable weather. Their judgments would depend on input from government experts about what might happen at Fukushima Dai-ichi. Nuclear Regulatory Commission Chairman Gregory Jaczko testifies to the Senate Environment and Public Works Committee on Capitol Hill in Washington on March 16, 2011. Lengthy and sometimes fierce technical arguments ensued among experts at the various agencies involved. In addition to multiple reactor meltdowns, should the assumptions include the much-dreaded fire in the Reactor No. 4 spent fuel pool even though it turned out to be in much better shape than initially thought? For the “plausible worst case,” the answer was yes, because unseen cracks might still cause the pool to empty, and a severe aftershock might lead to new structural problems. The most critical factor, according to Fetter, turned out to be assumptions about weather. “We didn’t want to point the plume directly at Tokyo and leave it going there the whole time; that wasn’t realistic, because the wind always changes,” he said. “So [the Livermore researchers] looked back in their weather data and found some worst cases—periods in which the wind blew toward Tokyo for a long while.” Precise modeling of atmospheric dispersion and “plume wander” showed that radiation far from the plant would be substantially reduced; even a light rain would wash many particles out of the air. Readers who have closely followed Fukushima developments may find this story about the U.S. government’s worst-case scenario interesting though not necessarily conclusive. After all, didn’t the Japanese government draw up its own worst-case scenario? Indeed it did. Didn’t many news articles report that this scenario would have necessitated an evacuation of Tokyo? Indeed they did—wrongly. Still, Kondo, a 69-year-old former professor of nuclear engineering at the University of Tokyo, had been urging others in the government to develop such scenarios so that they could prepare countermeasures. He promised to deliver a scenario in three days. Medical staff screen a woman for possible radiation exposure in Hitachi City, Japan, on March 16, 2011, after she was evacuated from an area within 20-kilometer (12.4-mile) radius of the Fukushima Dai-ichi nuclear plant. The woman tested negative for radiation exposure. Like the U.S. experts, Kondo focused heavily on the Reactor No. 4 spent fuel pool, although Japanese officials believed (correctly, as it turned out) that the pool was full of water. He imagined a “chain of incidents,” starting with a new hydrogen explosion and ending in the kind of radiation-spewing spent fuel fire that the Americans worried about. Then he projected where that radiation might travel, using methods that he has described as “very rough”—models that did not involve Japan’s own computerized system for forecasting plume movement. Kondo concluded that the areas that might require evacuation did not extend close to Tokyo. If the worst happened, people living within a radius of about 30 miles from the plant “should be advised to evacuate before Day 14, when the emission would be expected to be full-blown,” and some spots outside of that radius might also merit evacuation, he wrote in a 15-page report to top government ministers. So if Kondo’s scenario didn’t envision the need to evacuate Tokyo, what exactly did it say regarding the capital? This is where media reports grossly misrepresented the findings; to understand why, a little background is in order about how the response to a nuclear event is supposed to work. A girl looks out from a bus window as people rush to get out of Yamagata, Japan, on March 15, 2011. Kondo’s exercise involved a longer time frame than the U.S. one did. The Americans were focused mainly on what specialists call the “early phase” of a nuclear accident—when an atmospheric plume containing radioactive particles causes exposure mainly from inhalation, in which case authorities are supposed to keep people sheltered in their homes (possibly giving them potassium iodide pills) or evacuate them depending on the type and concentration of particles in the plume. Kondo also included calculations about the “intermediate phase” and “late phase,” when people are exposed over long periods to particles deposited on their skin, clothing, and on the ground; dispersed in the food and water they consume; and recirculated in the air they breathe. The time frame for the late phase is measured in decades—up to 50 years—because the cumulative lifetime dose matters. The chances of getting cancer are estimated to increase by 0.5 percent for a person exposed to a lifetime total of 100 millisieverts, and the risk increases further with higher doses. If an area is likely to come unacceptably close to those sorts of dose levels over a number of years, authorities have a reasonable amount of time to try a variety of protective actions, including controlling food and water sources, decontaminating land and buildings, etc. Those steps would ideally reduce exposures to acceptable levels, though if not, the relocation of inhabitants would be in order. To determine what sort of later-phase response might be necessary if the worst happened at Fukushima, Kondo used land contamination levels based on the restrictions that were imposed after the Chernobyl disaster. He concluded that “compulsory relocation” might be required for some areas 105 miles from the plant and “acceptance of voluntary relocation” for some areas 155 miles away. Anti-nuclear protesters in Tokyo demonstrate against the Japanese government’s nuclear policy on March 11, 2012, one year after an earthquake and tsunami prompted a nuclear accident at the Fukushima Dai-ichi nuclear power plant. As bad as such an outcome might have been, the press made it sound exponentially worse when Kondo’s projections became public in early 2012. Since Tokyo is less than 155 miles from the plant, the capital definitely would have been affected, many news stories claimed—even though that would have depended on the direction and strength of the winds, which might well have blown out to sea or somewhere else in the middle of Japan. And journalists (both foreign and Japanese) used the term “evacuation” in this context, as if Kondo had meant to say that a rushed mass exodus would have been warranted from any area affected by late-phase exposure concerns. Then again, one scenario even worse than Kondo’s was circulating at the highest levels of the Japanese government early in the crisis. “A devil’s chain reaction” is the term used by Yukio Edano, the former chief government spokesman, to describe a scenario he and other petrified members of the government contemplated during the disaster. The crippled Fukushima Dai-ichi nuclear power plant’s No.4 reactor building is seen through bus windows in Fukushima, Japan, on Nov. 12, 2011. This scenario had no scientific basis, as Edano has admitted; it was essentially a politician’s phantasmic mental exercise. None of that stopped the media from trumpeting his words. On the top of the front page of its Feb. 27, 2012, edition, the New York Times quoted him prominently in its story about the commission’s report. “Japanese leaders … secretly considered the possibility of evacuating Tokyo, even as they tried to play down the risks in public, an independent investigation into the accident disclosed,” said the Times, citing Edano’s “chain reaction.” Similar articles appeared in major news outlets all over the world. A construction worker walks near water tanks at the Fukushima Dai-ichi nuclear plant in Okuma, Japan, on June 12, 2013. No plausible scenario—rather different an assessment than that suggested by the “devil’s chain reaction” and rather more credible given the scientific reasoning that underpinned it. Yet Bader’s revelations got no coverage except for a report by the Kyodo wire service that was carried in some local Japanese papers. To my knowledge, the only journalist who has bothered to research the U.S. scenario in any depth is Yoichi Funabashi, the former editor of the Asahi Shimbun—and ironically, the chairman of the Independent Investigative Commission. Funabashi’s book Countdown to Meltdown, newly published in Japan, contains an account of the scenario, though it is not based on internal U.S. documents. Nobody can say for sure how events would have unfolded if the worst had happened at Fukushima. Even the most sophisticated computer models are fallible. But the public deserves to know what the best available science shows. Whatever conclusions people draw about the implications of the accident, the following should be borne in mind: The claim that an evacuation of Tokyo could have been necessary is based on flimsy, easily rebuttable evidence. Furthermore, the falsity of that claim is indicative of the distortions in much of the Fukushima news coverage. That coverage has given rise to baseless fears about Fukushima that have heavily influenced public opinion. It is time to dispel those fears. A Japanese-language version of this article was previously published in Newsweek Japan.